When school is out during the summer months and children are no longer receiving breakfast and lunch at school, many families struggle to feed their children nutritious meals each and every day. As a mother and grandmother, I understand the importance of ensuring that America’s children are provided with nutritious meals every day. My grandchildren, who are 5 and 8, are just like all children – infinitely curious and filled with energy, love, and joy. Young children should be playing and learning — not worried about where their next meal will come from. But for many children, school meals are their only source of nutrition, which is why USDA’s Summer Meals Programs are so important. In the summer of 2015, nearly 191 million meals were served to children and teens at more than 66,000 sites across the country. With the help of our partners, we pulled off an amazing feat– roughly 3.8 million children and teens were served by the program. This summer we are striving to reach even more children in our quest to build stronger, healthier communities and ensure all kids have the opportunity to thrive when school returns in the fall. Expanding access to Summer Meals is important across the country, but it is especially important in rural areas. Last summer, I visited multiple summer meals sites across the country. I remember meeting one young man named Brian. Brian was only 12 years old and every day he rode his bike a long distance, along a busy highway just to get a summer meal. Brian would rush and finish his meal as quickly as possible in order to ride back home and give his sister the bike, so she could ride it to the same site and have a meal as well. This shows the lengths that kids will go in order to get a meal and an example of the need that is there. It is stories like Brian’s that highlight the need to continue to find innovative ways to serve children through efforts such as mobile meals and other strategies to reach families that may not have transportation to a site. States across the country are creating projects to address these challenges in rural areas. For example, the Iola Unified School District in Southeast Kansas retrofitted an older bus and created a “traveling bistro.” The students built tables and book shelves, painted the walls, and turned half of the seats around to create restaurant-style booths. MARV, or the Meals and Reading Vehicle, will be traveling to three low-income neighborhoods to serve lunch on weekdays during the summer. Another innovative project comes from California where over the last three years; they’ve expanded access to summer meals through libraries. With many schools closed, it is difficult to find a central location that is safe and easily accessible during the summer months. However, thanks to the Lunch at the Library Initiative spearheaded by the California Summer Meal Coalition and the California Library Association, summer meal sites at libraries have grown from 20 to more than 125. Since summer 2009, we’ve served more than 1.2 billion summer meals. We hope to continue this success as the numbers have grown steadily each year. Our partners have done a tremendous job stepping up to the plate. Summer Meals programs would not be possible without churches, libraries, schools, non-profits, and other organizations making a commitment to the communities they serve. I am pleased, both as the Administrator of the Food and Nutrition Service, as well as a grandmother of two beautiful children, that these programs are available for kids in need. To find a summer meal site near you, please visit our Summer Meals Site Finder. 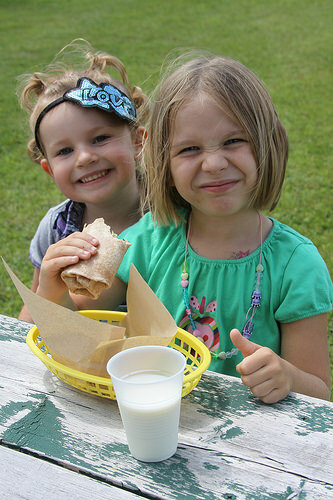 For more information on USDA’s Summer Meals Programs please visit fns.usda.gov as well as our Summer Meals Toolkit. This entry was posted in CA Farm To Fork website on August 8, 2016 by California Farm to Fork.